Azhar Dance Ensemble has been featured in numerous performances around the world with their folkloric and classical Egyptian style dances. 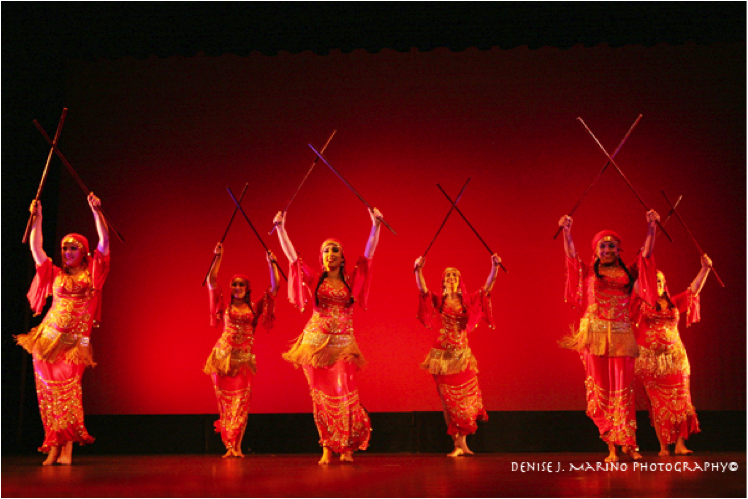 These talented dancers won 1st place in the troupe category for the 2013 USA Belly Dance Queen Competition. 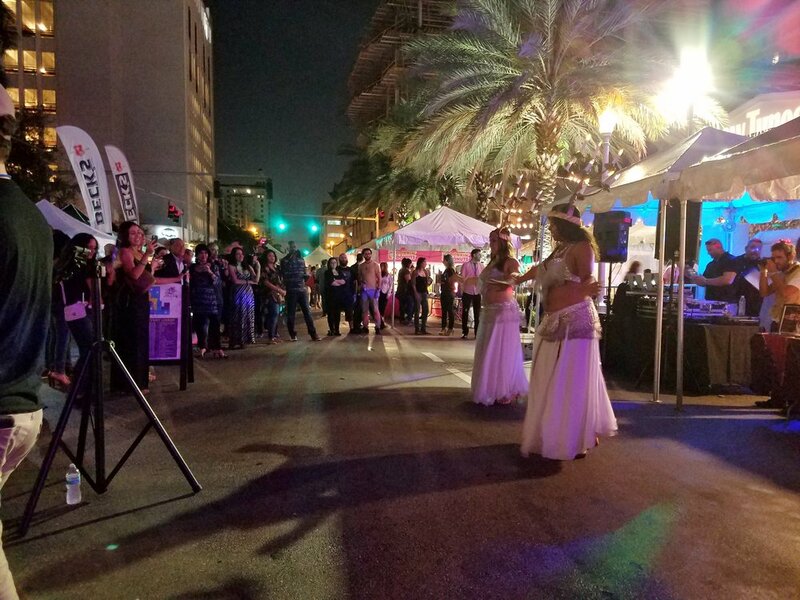 Under Amara Sayid’s direction, they execute beautiful and elegant choreographies that provide audiences everywhere with an authentic Egyptian dance experience. Azhar (pronounced ahz-hahr) in Arabic means, "many beautiful and different flowers". This name was chosen because our dance troupe consists of a variety of lovely and talented dancers, each with their own vibrant personality and individual style. These skilled artists are all college graduates, balancing a love for dance, a successful executive career, and growing families. Middle Eastern Cultural Arts (M.E.C.A) Dance Ensemble’s goal is to expose audiences to the cultural beauty of folkloric/traditional, classical, modern, and fusion styles of dance from all over the Middle East, North Africa, and Central Asia -- with areas of specialty in Persian/Iranian dances as well as dances of the Arab world. 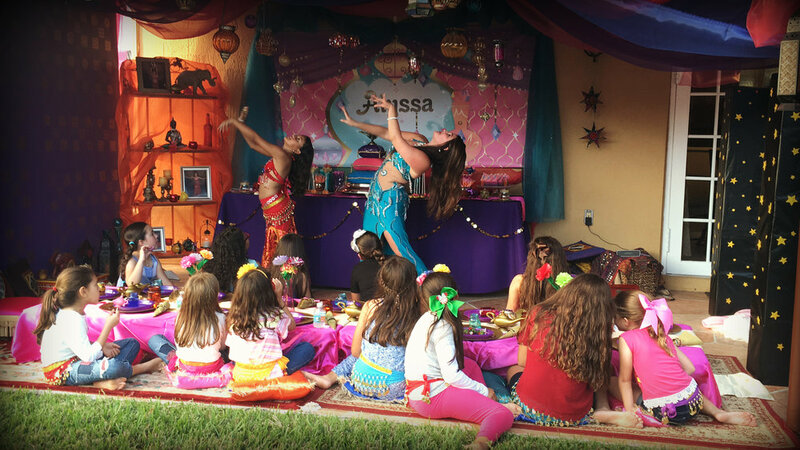 Under the direction of international dance artist Roshana Nofret, M.E.C.A strives to promote education and understanding of this art form through creative, delightful and engaging performances in South Florida and abroad. Professional Arabic musician(s) are also available upon request. We will also do our best to color coordinate with your event. Absolutely NO Bachelor Parties, all-male events, or private dancing. A non-refundable deposit must be paid upon agreement of services, contingent on availability. Book Us for your next special event or production!